The Fritz is an astonishing fly and can literally be fished anywhere, and you can target almost any fish species with this fly. 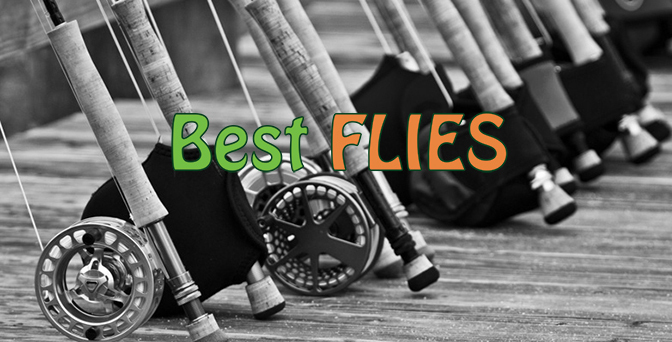 The Fritz is a great fly for freshwater species such as Trout, Largemouth Yellowfish, Bass and saltwater fish species, such as Moonies and Garrick in particular like this wet fly pattern, and often cannot resist it. 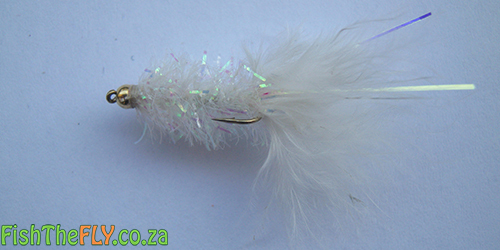 The White Fritz is our favourite pattern here at Fish The Fly, for all these fish, and many more. The Fritz is best used with a fast retrieve close to the bottom, and works better on intermediate or sinking line. This fly is essentially a glorified Woolly Bugger in the fact that it is very buggy, it is weighted and has some shiny materials on it. The Fritz has also been modified with the Woolly Bugger to create the Fritz Bugger, which is also a very effective pattern.